Massachusetts Sen. Elizabeth Warren, a hero to liberal progressives ideologically aligned with Bernie Sanders' anti-Wall Street rhetoric, endorsed presumptive Democratic nominee Hillary Clinton Thursday night on MSNBC's the Rachel Maddow Show. "I’m ready. I am ready to get in this fight and work my heart out for Hillary Clinton to become the next president of the United States — and to make sure that Donald Trump never gets anyplace close to the White House," Warren said. Warren, who has made banking reform the centerpiece of her political career and has been mentioned as a potential running mate, said she has not talked to Clinton about her vice presidential choice. Warren laughed off suggestions of being vice president and said she loves the work she currently does. Warren’s endorsement comes the same day President Barack Obama formally backed Clinton in a video lauding her qualifications for the job. Both lawmakers had remained neutral throughout the sometimes bitter primary race between Sanders and Clinton, although the president was long thought to favor his former secretary of state. 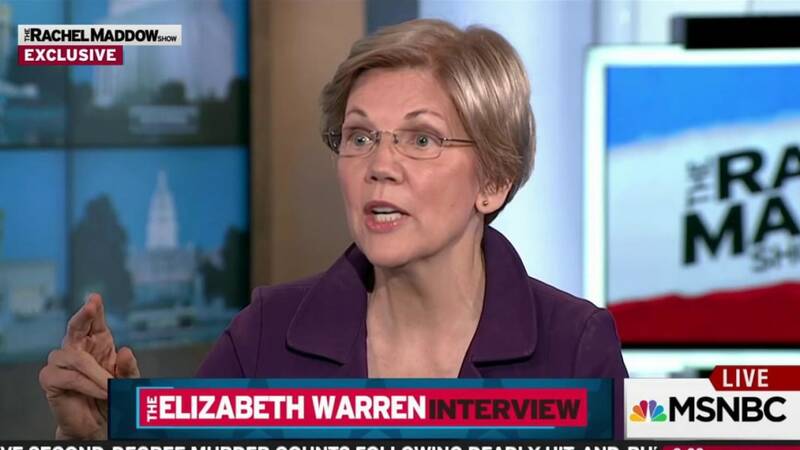 But Warren, was actively recruited as a potential Democratic primary challenger to Clinton. Vice President Joe Biden also discussed with Warren the possibility of choosing her as his vice presidential pick when he was mulling whether to enter the race last year. Warren called the long primary “constructive” and said she shares many of the ideas put forth by Bernie Sanders. She said Sanders “took these issues and he really thrust them into the spotlight” and brought millions in to the Democratic Party. “I take my cue on every part of this from Bernie himself and what he said right at the beginning … what this is about, what we’re doing here is about millions of people across this country, millions of people who work hard every day and just keep getting slammed,” she said. “It is not about one candidate. It’s not even about one election. It’s about all of us coming together to help fight, to level the playing field to make sure that everybody gets a fighting chance,” Warren said. Warren said she believes Sanders supporters will support Clinton. 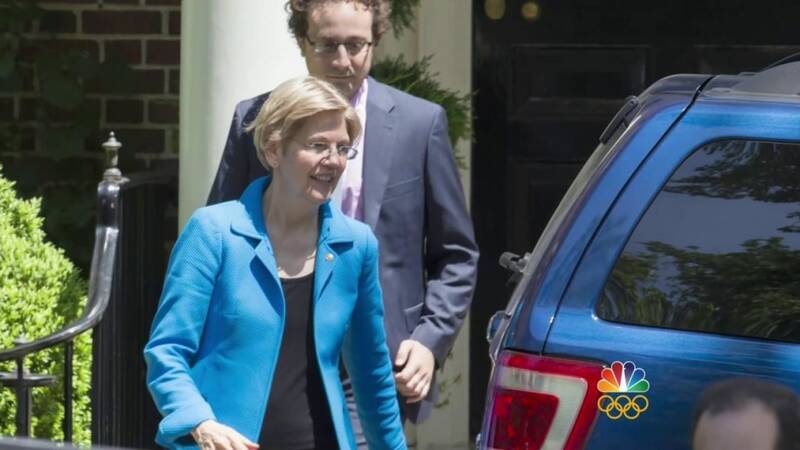 “The way I see this is that there is a very big and important home here,” Warren said. She said if Republicans win the White House and keep control of Congress, Obamacare and financial reforms like the Dodd-Frank act will be repealed and the Supreme Court could be swung in a conservative direction. "It’s clear now that we need to start thinking about all of us together and we need to think about the difference between us and the Republicans,” Warren said. "I just want to be sure I get this on the table, and get this on the table early: Hillary Clinton won. And she won because she’s a fighter, she’s out there, she’s tough," Warren said. Warren has been one of the most vocal Democratic critics of presumptive Republican nominee Donald Trump, going on Twitter tirades against Trump's "racism, sexism, and xenophobia," among other things. Ahead of her formal endorsement Thursday, Warren called Trump "a loud, nasty, thin-skinned fraud" in a speech in Washington, D.C.